***I will be updating this blog post once I have more info on the deals for Black Friday and Cyber Monday. I will also be sharing them on my Facebook & Twitter, so stay tuned! Also check out Cyber Monday Deals! If you are planning on doing some online shopping, then I'd recommend trying out Ebates! You get cashback on your purchases and you get $5 when you sign up! 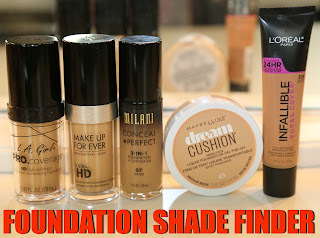 Click here to read my blog post on it! Canada: Click here to sign up! United States: Click here to sign up! Plus earn 4% cashback with Ebates! Deal: Free shipping on any orders and 5 free samples of your choice with purchase of $40 CAD. This offer is only available for Canadian residents. 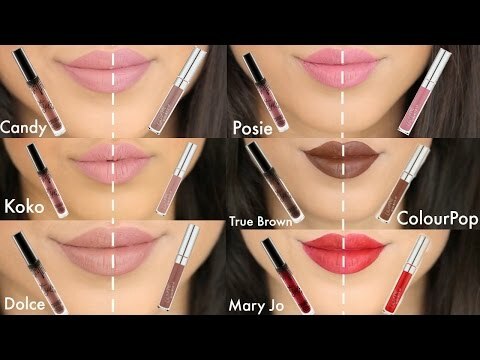 You must shop on bobbibrown.ca. No code required. Plus earn 8% cashback with Ebates! 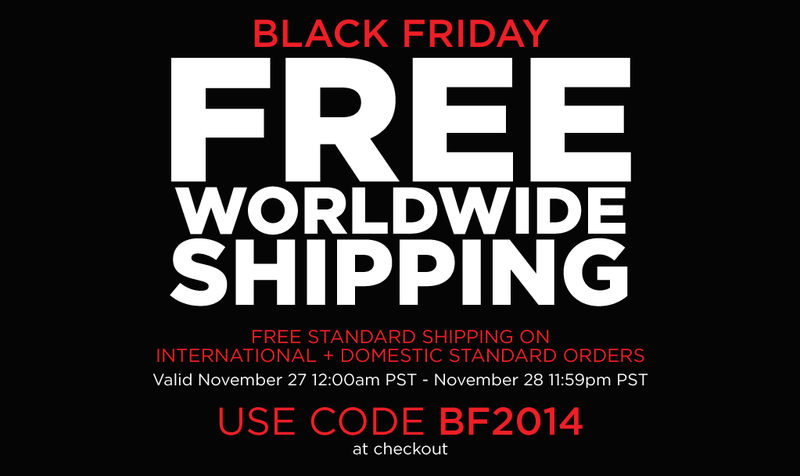 Deal: Free shipping on orders over $75 and 20% off on any orders of over $150. You must enter your email to redeem offer. Click here to visit their website for more details. Plus earn 5% cashback with Ebates! Deal: Sephora is having beauty deals for $12 CAD ($10 USD). 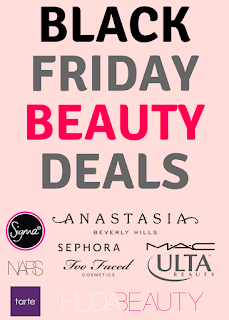 United States: Black Friday $10 Beauty Deals! While supplies last. 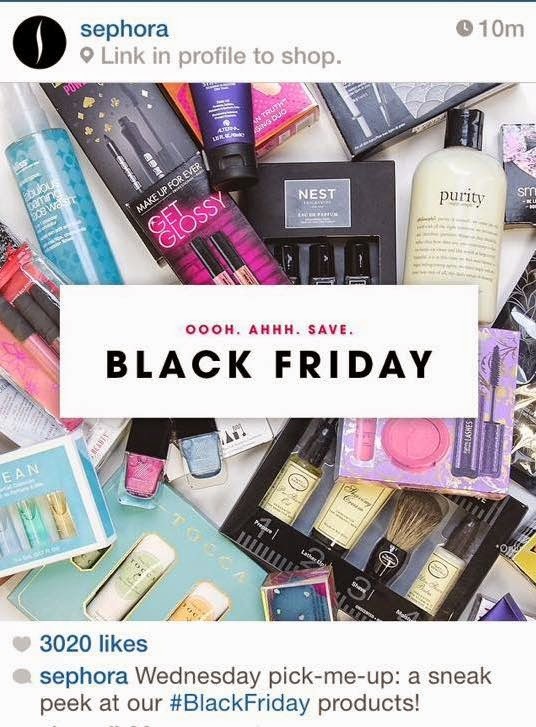 Canada: Black Friday C$12 Beauty Deals! While supplies last. DELUXE SAMPLE --> You can also use code SCENTMINI to choose one of the six minis of new fragrances if you spend minimum of $35 CAD ($25 USD). Click here for more information. It's great if you want to my buy one or 2 items. If you want more information, click here to check out my blog post on it. Spend more, Save more at Too Faced! $10 off $60+, $15 off $75+, $30 off $100+. Code SHIMMER. Offer ends 11/30/14. Shop now! Deal: Click here to check their website to find out what deals are available. It starts online on November 27th at 7PM CST online (Ships to U.S. only) and in-stores at 8PM. A list of items are on sale! On this Black Friday FastestVPN is offering 5-year VPN subscription for just USD 0.83 per month ($49.95 in total). That’s 92% Off on original price (original price= $600). Furthermore you can avail 10% extra discount with below coupon code.